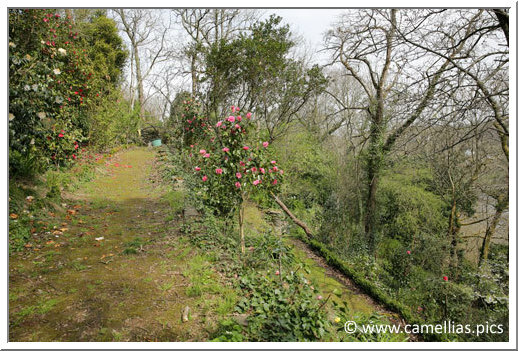 Here is an original garden built on terraces facing south. 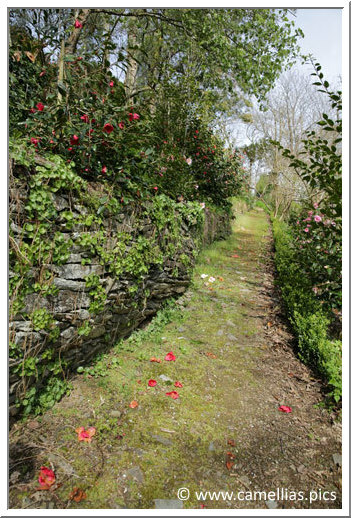 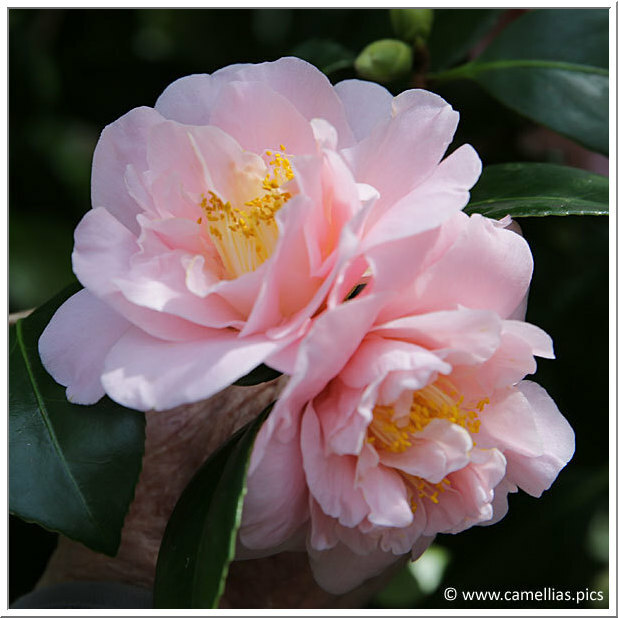 The terraces offer a very favorable microclimate to grow camellia . 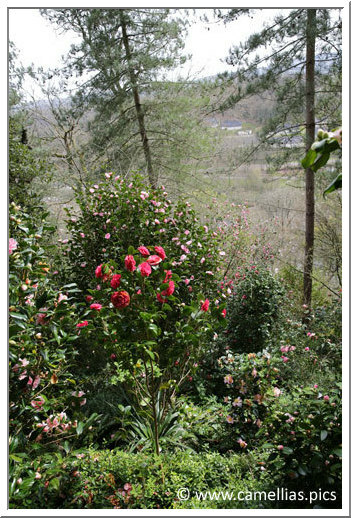 They store heat. 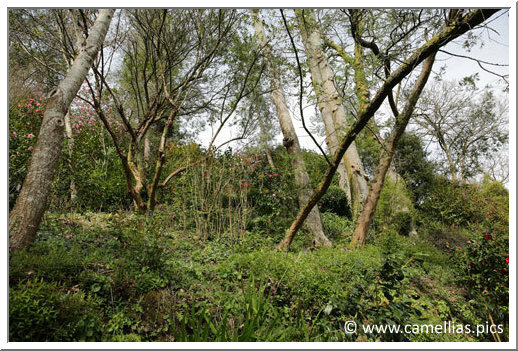 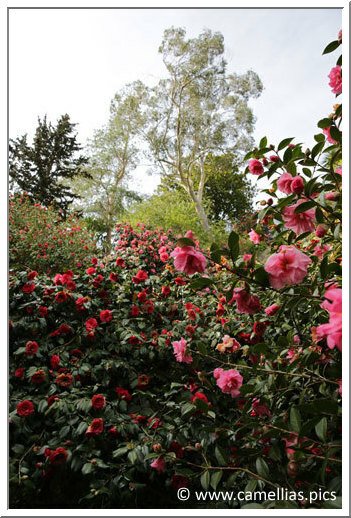 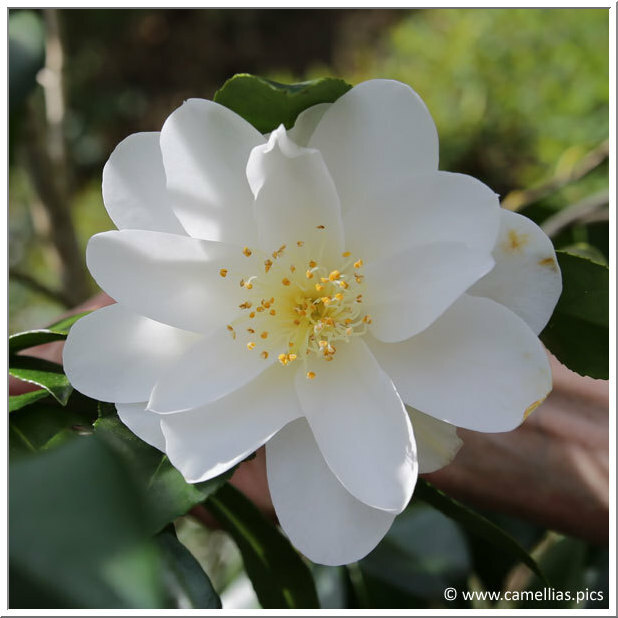 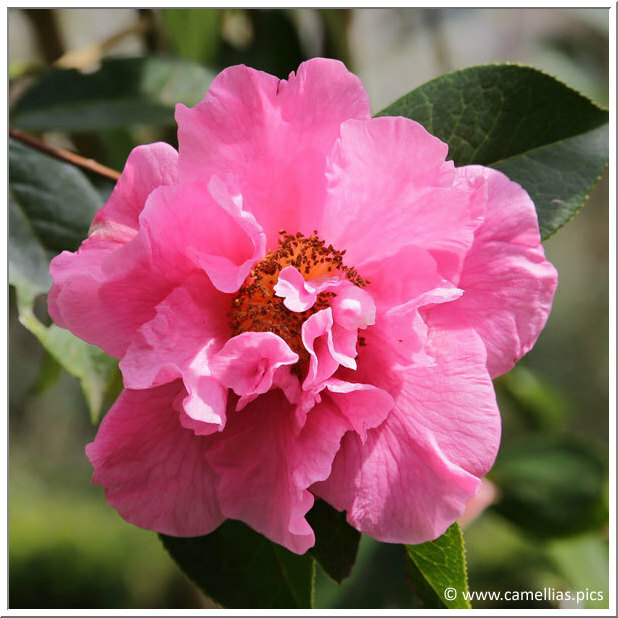 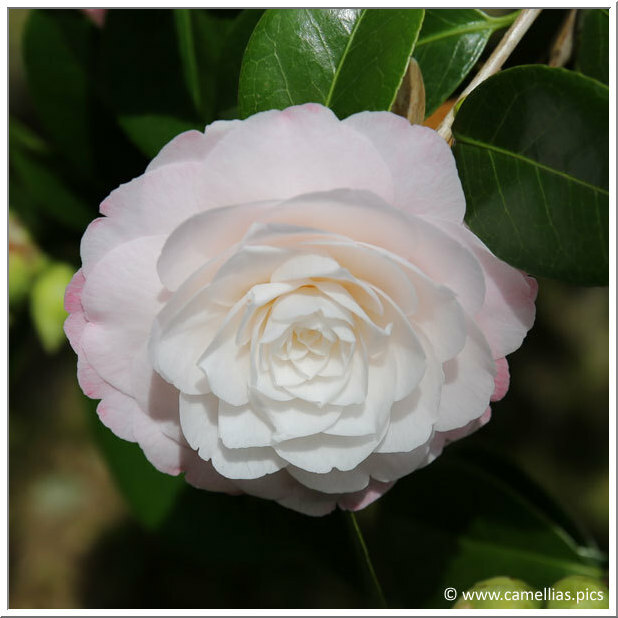 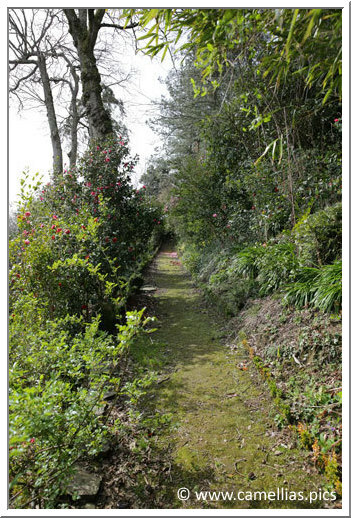 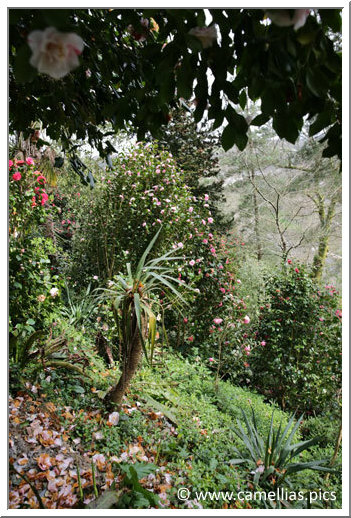 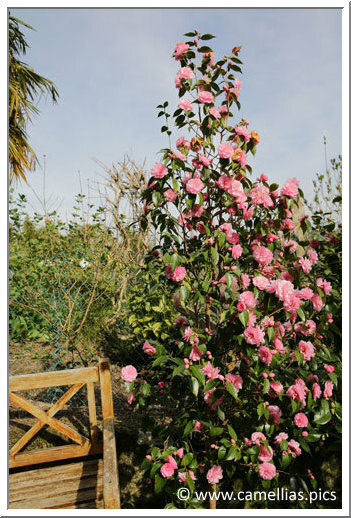 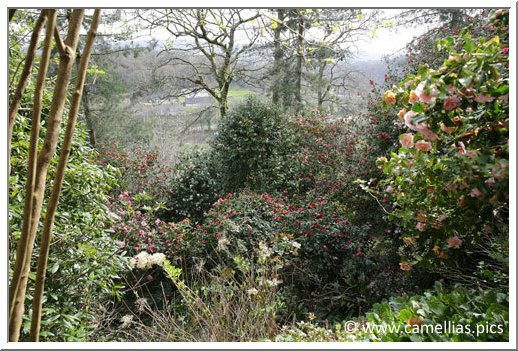 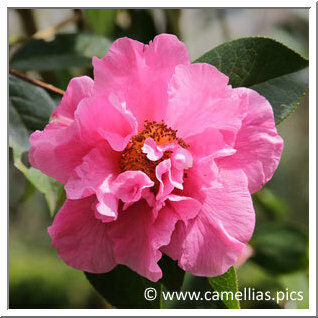 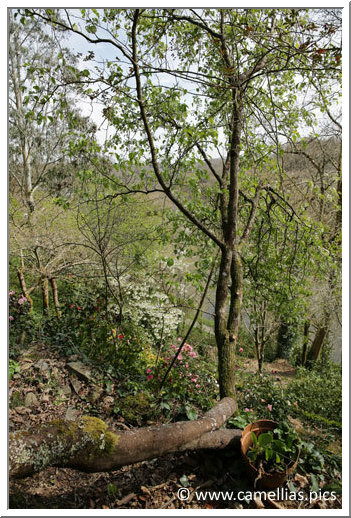 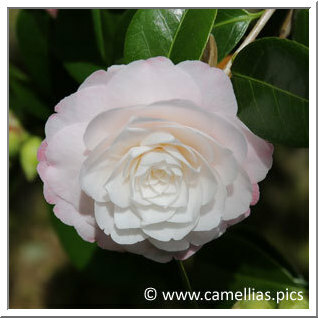 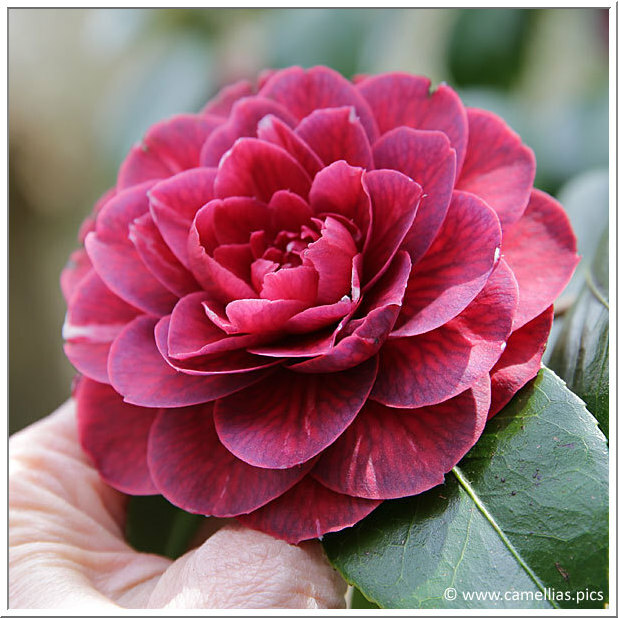 The camellias are easy to grow and can become very large, the highest reaches 8.70 meters. 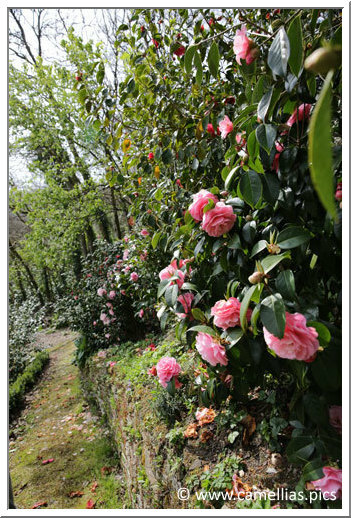 The owner is also a breeder. 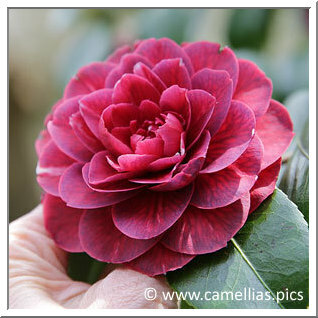 We will also present some of his camellias. 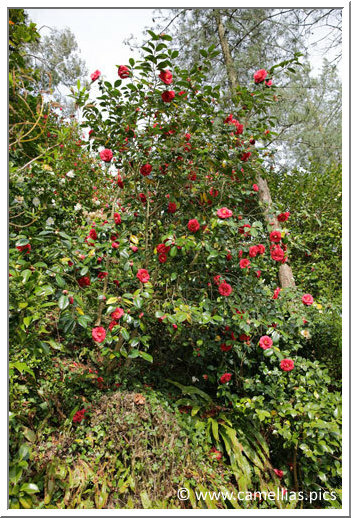 Since 1970, he settled 300 cultivars.